Anthurium besseae is a small species similar looking to Anthurium crystallinum. The leaves are dark green and velvet to the tough with silver veins. 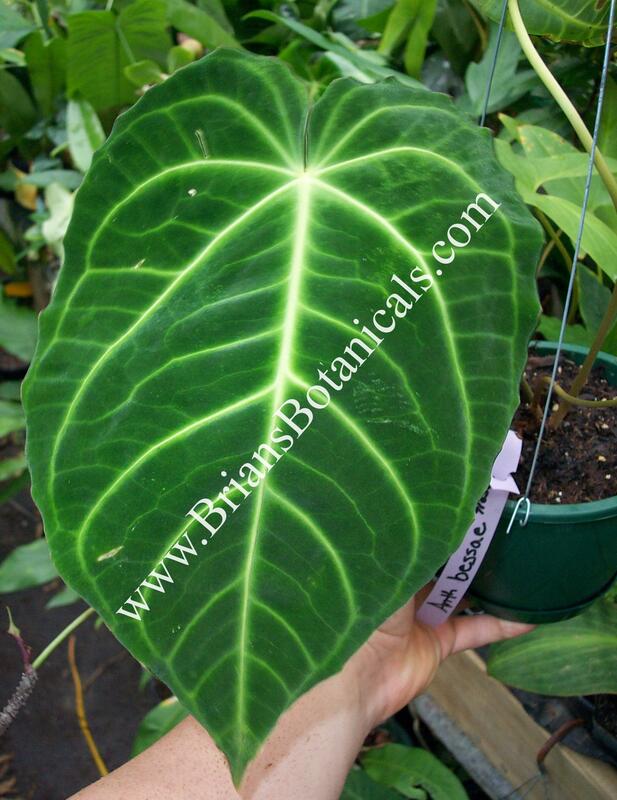 It stays much smaller than other species and largest leaves are usually under 1 foot. My mature plant usually has 3 to 4 inch leaves. It grows well as an epiphyte or in a orchid type mix. Makes a great house plant greenhouse plant or possibly do well in a large terrarium.